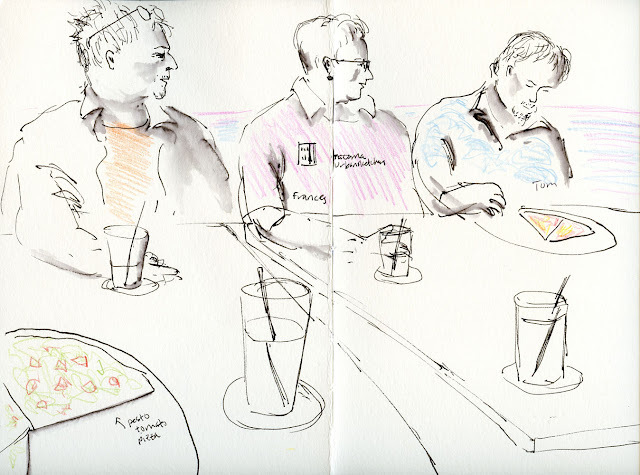 Urban Sketchers Seattle: Happy Birthday, USk Tacoma! 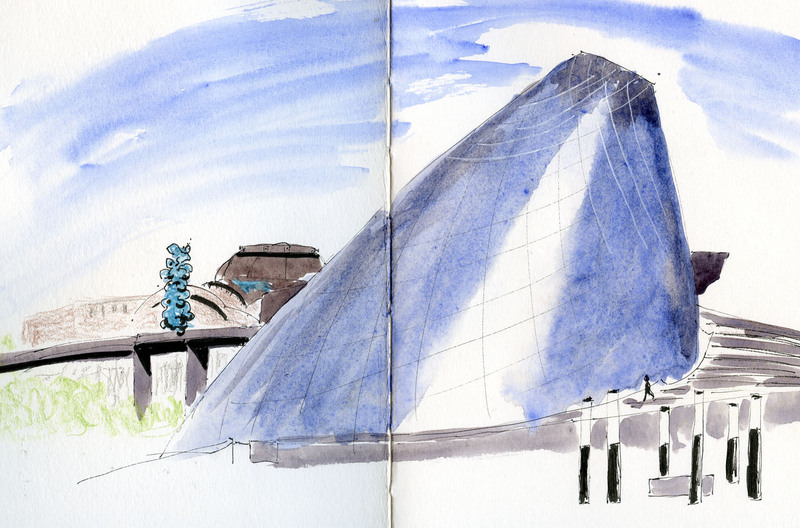 Urban Sketchers Tacoma celebrated its third birthday today in arguably one of the most picturesque and sketchable parts of town: the Museum of Glass near the waterfront. Sketching the magnificent glass art of Dale Chihuly and company inside the musuem and its hot shop would have been a great rain contingency option, but nothing could have brought me indoors today – high 70s, a cool breeze off the water and that bright blue sky! First up before the day got too warm was the museum’s glassy, asymmetrical conical structure that has become a Tacoma icon. I first sketched this thoroughly daunting subject four years ago when we held a regional sketchcrawl there. See the blue thing just to the left of the cone? 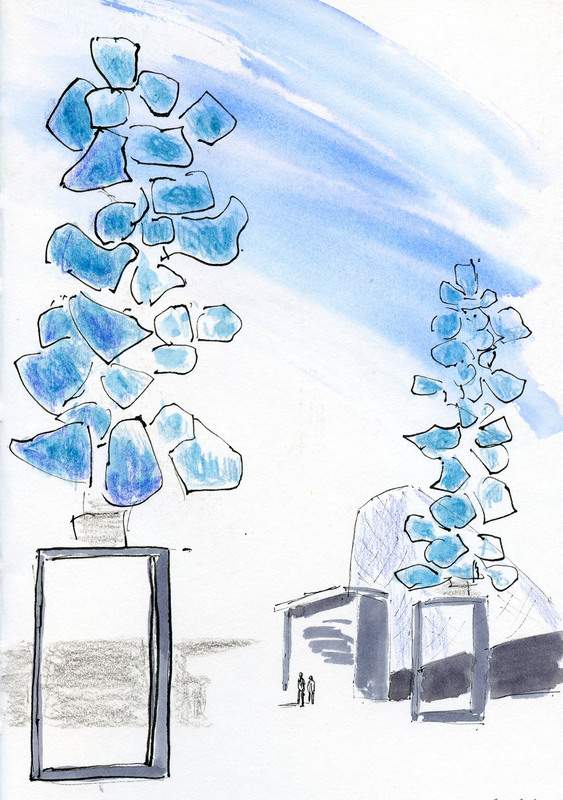 It’s one of the Dale Chihuly’s blue Crystal Towers, which I sketched in the cool shade from the Bridge of Glass (where you can see a bit of the cone to the right). It’s fun when I can find two compositions that show the same subjects from different places. 6/4/16 Pizza and more sketching!